SiriusXM is integrated into the audio systems of all new Hyundai models, and almost every used vehicle we sell here at Lauria Hyundai. This means you get an endless amount of music, informative talk and entertainment, hilarious comedy, and non-stop sports right at your fingertips! Just get in, turn on and enjoy. Sirius XM provides coast-to-coast satellite coverage which allows you to listen to the same incredible channels with digital quality sound, anywhere in Canada and the U.S. Ask us today about your free 3-month trial! Sirius XM Satellite radio is available on nearly all vehicles here at Port Hope‘s Lauria Hyundai serving the Cobourg Hyundai, Clarington Hyundai, Peterborough Hyundai, Belleville Hyundai regions. If you are looking for a new or used Hyundai in the Clarington, Bowmanville, or Oshawa region please call Lauria Hyundai today. 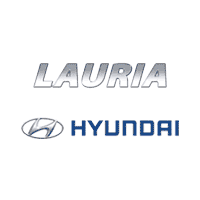 Lauria Hyundai is proud to be ranked the #1 Hyundai dealership in Canada for overall customer satisfaction in 2015. To ask about your free trial on a new or used Hyundai model in the Cobourg, Clarington or Oshawa region please call or contact us today!